Trim codes or trim files are codes that go into an Electronic Control Module (ECM) that determine how long a fuel injector injects fuel into a cylinder for. Trim codes only apply to electronic Caterpillar injectors and some newer electronic Cummins injectors. Theoretically, if any 10R4761 injector will fit the same way as any other 10R4761 injector, they should all have the same output. They are all made the same way, after all. But due to slight differences in machine tolerances, friction between parts, and magnetic forces, some injectors have different rates of output. By using trim codes to adjust the injection duration for each individual injector, the net output of the injector for each cycle is the same in an engine. When some manufacturers make these specific electronic injectors, they put them on a machine when they’re done to test for the correct fuel output. If the output is not exactly within the specification range, the computer will generate the code to control the current so that the net output is within spec. Any injector with a trim code should have the serial number on it. 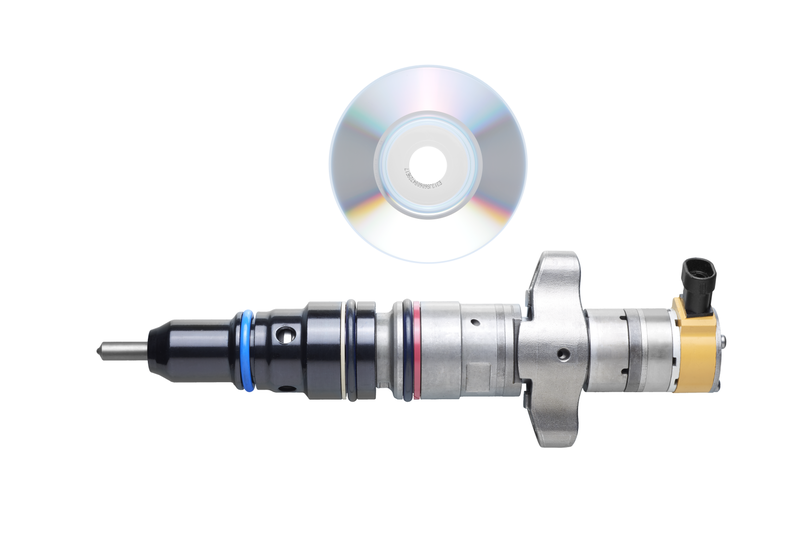 Some injectors will come with a disc containing the unique trim code file. The disc will go into a computer and the computer will get connected to the ECM. Some programming will run and the injectors’ serial numbers will be inputted, which tells the ECM all of the injection data. If an injector needs a trim code, it should come with one. For example, the Delphi injectors from HHP that fit Caterpillar C7 and C13 engines come with their own unique trim codes and the discs to access them. Engines run best when they are consistent. Many different factors play a part in consistency, and the power generated by each individual cylinder is perhaps the most important factor that needs to remain consistent. If each cylinder is producing the exact same amount of power, they will produce the optimum power output. Generally trim codes aren’t needed unless you notice your engine is not performing the way it should. Not installing trim codes could result in a rough idle, poor fuel economy, overfueling, underfueling, increased emissions, and generally poor engine performance. In (very) extreme scenarios, not installing trim codes or installing incorrect trim codes could lead to engine damage. If you recently installed electronic injectors without trim codes, let us ease your newfound fears. Most people don’t know about trim codes and so do not install them, and it is very rare that engine damage will result. If you were not supplied with a trim code, you probably shouldn’t worry about installing one. Even if you were, if you’re buying from a reliable manufacturer or vendor, not installing it shouldn’t be an issue. The short version: install trim codes if you have them, but don’t worry if you don’t. Highway and Heavy Parts is fully committed to the success of our customers. If you have any outstanding questions about Injector Trim Codes, or general questions you need answered, please give us a call at (844) 215-3406.